This is two coats of Rose Bower with G & G HK Girl top coat. The formula and application was just perfection. I just can’t get over how beautiful this polish is! ***All products used on this manicure were purchased by me. I don’t benefit from clicking the links on this post. 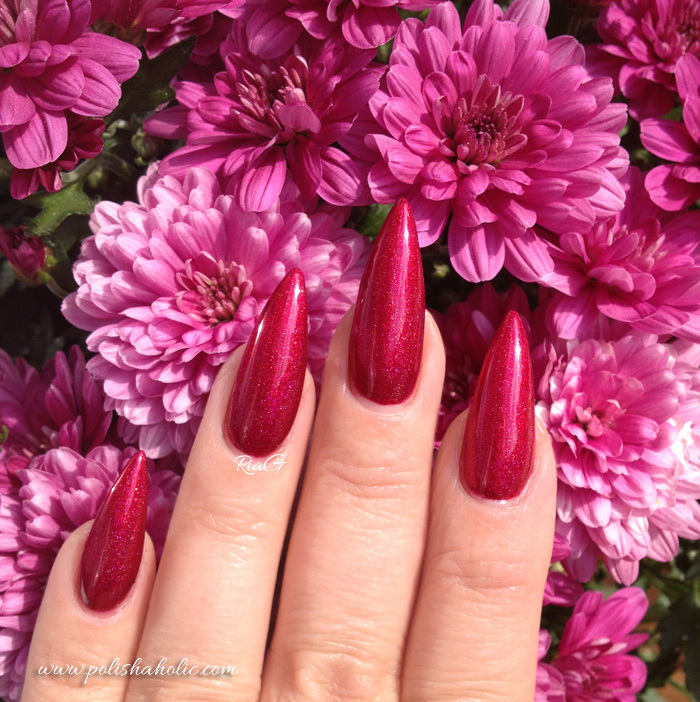 Today I have a stunning a england polish for you. 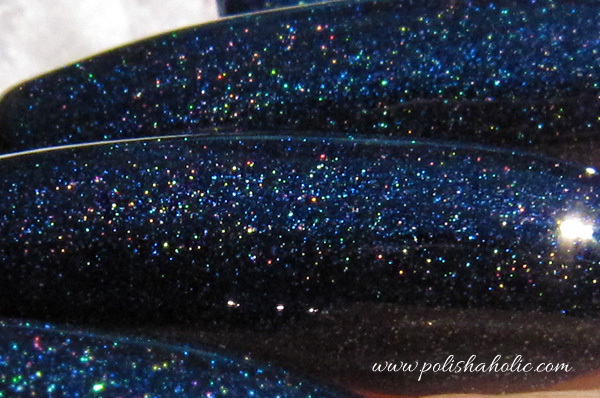 Tristam is a blue scattered holo beauty. This one looks absolutely amazing in sunlight and is also beautiful in a shade. This is a very classy dark shade with a twist. This is two coats with G & G HK Girl top coat. 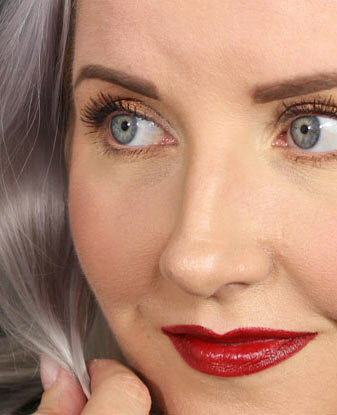 Tristam has a perfect formula and it’s opaque with two coats. Application is flawless and dry time is short. Perfection in a bottle! This and other a england beauties can be bought online from a england website if you live in UK and if you don’t live in UK click here to find the online store most suitable for you. I bought mine from Mei Mei’s Signatures. As always the customer service was great and shipping was super fast this time. Five days from Singapore to Finland! ***All the products in this post were purchased by me. I bought this beautiful polish from a england a few months ago, right before the infamous RM fiasco. 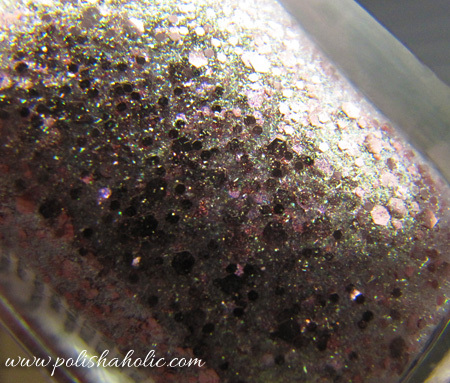 Dragon is a stunning green polish with scattered holo effect. For me, as a green polish lover this is a must have! Dragon has a great formula. Application is smooth as butter and for longer nails two coats is enough for opaque result. For shorter nails this might even be a one coater. Dry time was also short with G & G HK Girl Fast Drying + Super Shiny top coat. This and other a england beauties can be bought online from a england website if you live in UK and if you don’t live in UK click here to find the online store most suitable for you. And so has the first a england polish now found it’s way to my polish drawer. I saw two absolutely stunning manicures done with She Walks In Beauty and I couldn’t resist buying it anymore. 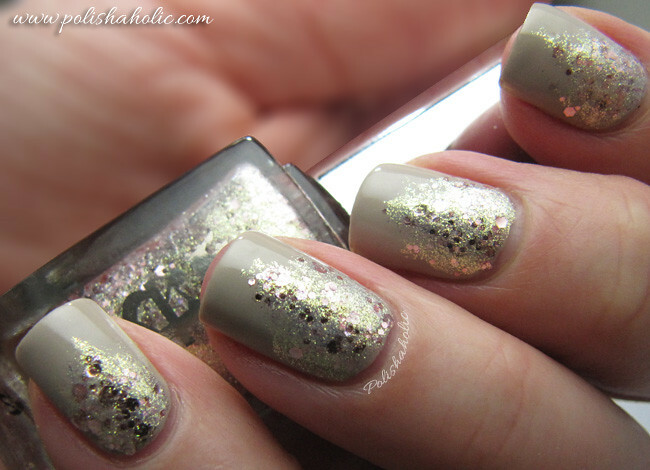 These awesome glitter tips manicures can be found from The Swatchaholic and The Polished Perfectionist blogs. As soon as I realized I had already bought the green manicure’s Grace Green polish (surprisingly found it from a discount bin ;) ) I gave in and clicked She Walks In Beauty on my shopping cart. Now I also have the gorgeous purple Essence polish seen on The Swatchaholic’s photos on it’s way to me along with the three other Snow Jam polishes. (Thanks J ♥ ).